A vessel is full of mixture of spirit and water, of which 18% is spirit . 8 litres are drawn off and which vessel is filled with water. 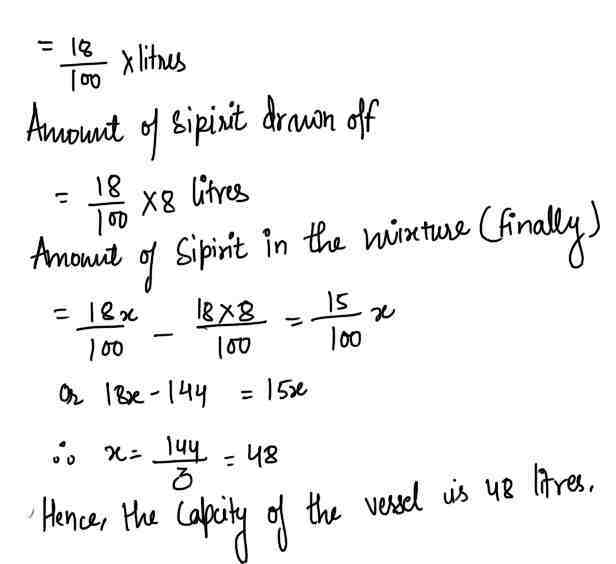 If the Spirit is now 15%, what is the capacity of the vessel ? A man can swim in still water at the rate of 4 km per hour. If the speed of water is 2 km/hr how many hours will the man take to swim against the current for 6 km ? A trader mixes 80 kg of tea purchased at Rs 15 per kg, with 20 kg of tea purchased at Rs 20 per kg. At what price per kg should he sell the mixed tea in order to earn a profit of 25 %? 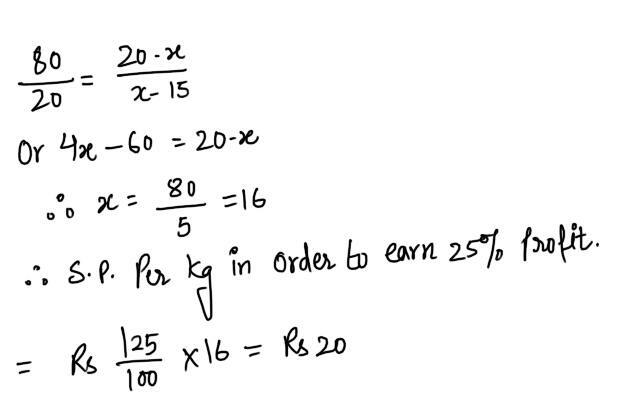 Ans 3. 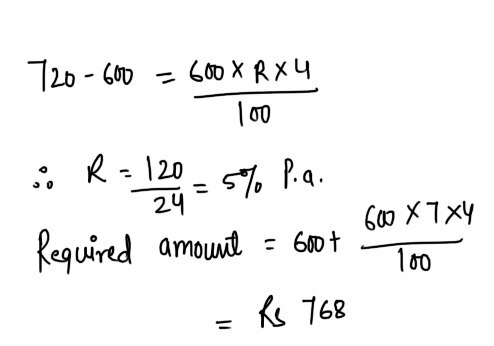 Let the mean cost price of the mixture be Rs x/kg. A man pipes 150 toothpicks in layers so that each layer has 1 toothpicks less than the layer below. If the top layer has 3 toothpicks, how many layers are there ? Ans 4. Starting from the top the number of toothpicks in the different layers is : 3, 4, 5, 6, 7, .... which is an aritmatic progression . A man starts at 2 p.m. to walk to a place 13 miles off. 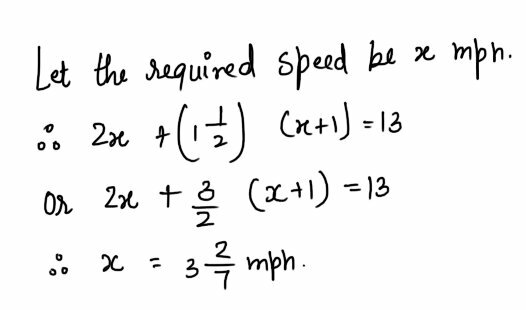 He walks at a uniform speed till 4 p.m. when he increases his speed by one mile an hour , and reaches his destination at 5:30 p.m. At what speed did he walk during the first two hours ? 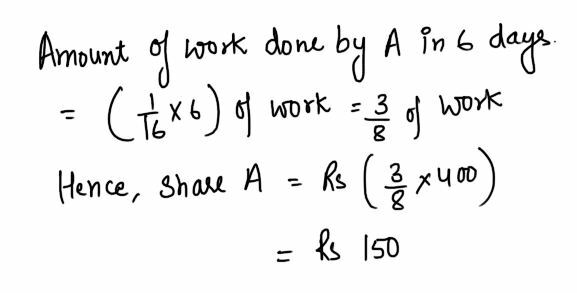 If the interest on Rs 50 at 5 % be equal to true discount on Rs 57.50 at 5% , when is the latter sum due ( assume the period to be the same in both cases ) ? 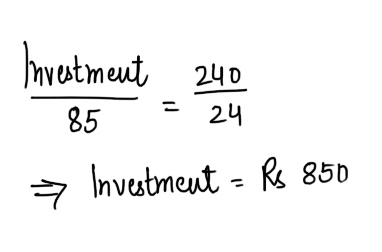 How much should I invest in 24% stock at 85 to get a yearly income of Rs 240 ? 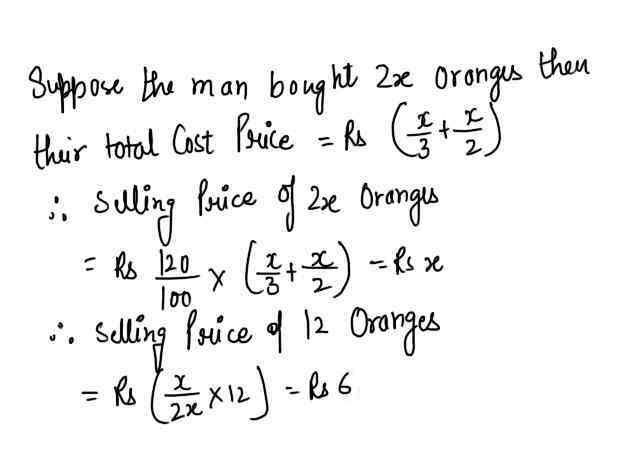 A man bought a number of oranges at 3 for a rupee and an equal number at 2 for a rupee. At what price per dozen should he sell them to make a profit of 20% ? Hoe much fencing will be required to fence a square field 44100 m2 ? A solid aluminium ball of radius 7 cm is melted and drawn into a wire of diameter 2.1 cm. What is the length of the wire ? 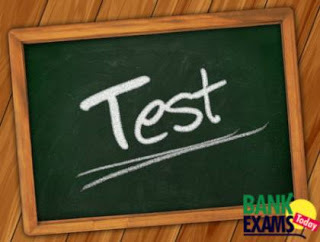 The distance between two stations A and B is 220 kilometers .A train leaves station A to Wards B at an average speed of 80 km/hour . After half an hour, another train leaves station B towards A at an average speed of 100 km/hr .The distance ( in km) of the point where the two trains meet, from A is . 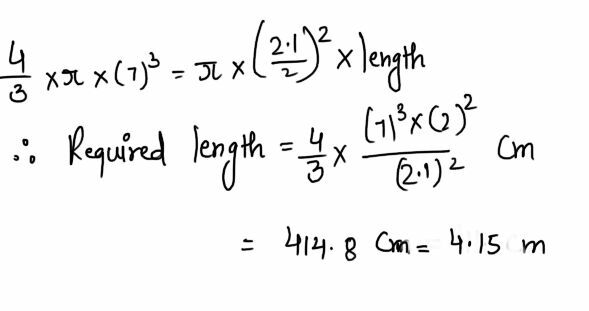 Ans 14. Let the required distance be x km. A shopkeeper earned Rs 504 in 12 days. His average income for the first four days was Rs 40 a day. His average income for the remaining days is . In each of the following number series , a wrong number is given find out that number . Hence, 37.5 is wrong .